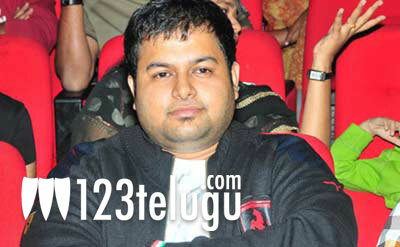 S S Thaman is going all out to complete composing music for Mahesh Babu’s next film Businessman. Ever since Dookudu’s audio was launched, Mahesh Babu has been praising Thaman’s music and since Mahesh Babu and Puri Jagannadh are coming together for the second time in more than five years, Thaman is leaving no stone unturned to make sure that his output is top notch. After attending Dookudu’s 50th day celebration event in Vijayawada, he began recording songs with an orchestra comprising 80 members in his studio for Businessman that too on his birthday. He has promised to complete the music of all his three upcoming films, The Businessman, Nippu and Bodyguard in December. After a small break, he is reportedly going to begin working on NTR-Srinu Vaitla’s next film and also Naga Chaitanya-Radha Mohan’s film. Great going Thaman.